Google's Chromebooks are still gaining traction and sales are predicted to grow. The Chromebook has been seeing a lot of success in the education sector, and the research and advisory company Gartner believes that sales for the laptops will see a growth of 27% by the end of 2015. In the United States, educational institutions were responsible for purchasing over 60% of the Chromebooks sold last year. Schools, now more than ever before, are turning to Google's line of cheaper web-based laptops to bring affordable computing to their students. In the business sector, Chromebook sales are not nearly as strong as in the education sector, but are expected to continue to increase as Google targets companies with its office applications. Offering apps that can be used offline has helped a lot, and small businesses especially are seen as the strongest adopters of Google's Chrome OS devices. The startups and small businesses allegedly see value in the Chromebooks as they require a more frugal alternative to a large IT infrastructure. As far as consumers are concerned, Chromebooks are generally seen as a companion device for a more traditional laptop or computer with a hard drive. Gartner is confident that sales growth will occur as users become more and more used to the idea of using cloud-based applications. Overall, the IT research firm predicts Chromebook sales to reach 7.3 million units in 2015. Worldwide Chromebook* sales to end users is on pace to reach 7.3 million units in 2015, a 27 percent increase from 2014, according to Gartner, Inc. Education is the primary market for Chromebooks and represented 72 percent of the global Chromebook market in 2014. "Chromebook is a device that can be considered by SMBs or new startup companies that do not have the resources to invest too much in IT infrastructure," said Ms. Durand. "Chromebooks will become a valid device choice for employees as enterprises seek to provide simple, secure, low-cost and easy-to-manage access to new web applications and legacy systems, unless a specific application forces a Windows decision." Google is gaining credibility and seeing success with Chromebooks in the consumer retail space, but has to improve brand awareness, especially outside the U.S. market, where consumers who may be familiar with apps such as Google Docs do not know what a Chromebook is and what value it may bring. "The majority of Chromebook users are tech-savvy individuals who purchase one as a companion device to their primary notebook or desktop PC. Others are buying a Chromebook for the household to use as a second low-cost PC alternative," said Ms. Durand. "The major factors that affect the adoption of Chromebooks by consumers remain the connectivity issue in emerging markets, but also the ability for users to understand and get used to cloud-based applications, and keep content in the cloud and ecosystem," said Ms. Durand. From a regional perspective, 84 percent of Chromebooks were sold in North America in 2014, with the U.S. market the largest single market in 2014 (see Table 2). 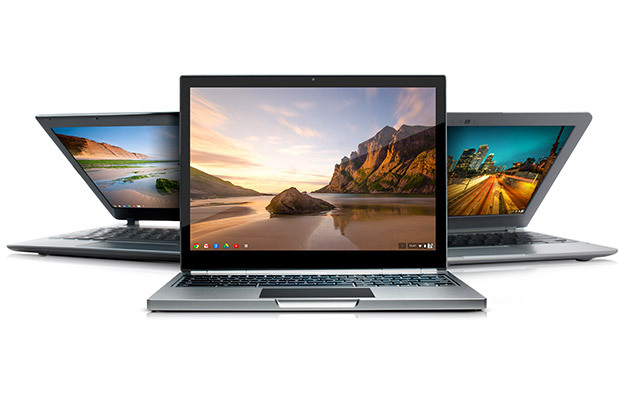 EMEA, which represented 11 percent of total sales of Chromebooks in 2014, is the secondary focus for vendors with Western Europe as the primary target. In Asia/Pacific the Chromebook market represented less than 3 percent in 2014, with demand coming from Australia, New Zealand and Japan. After Samsung's decision to exit the European Chromebook market and focus on tablets, Acer took the lead to become the No. 1 worldwide Chromebook vendor in 2014. Acer sold more than 2 million units in 2014. Samsung held the No. 2 position with 1.7 million units sold in 2014 and HP, a late entrant to the market, was ranked No. 3, with 1 million units, thanks to its strong connection with education partners. Chromebooks are mobile computing devices from a range of manufacturers that run Google's Chrome OS. They are designed primarily to access cloud services, cloud storage (typically Google's offerings) and Web-based applications. All applications are accessed or downloaded from the Google Chrome Web Store (an Internet connection is required, or at least highly preferred). Further information is available in the Gartner report "Education Is the Primary Opportunity for Chromebooks."